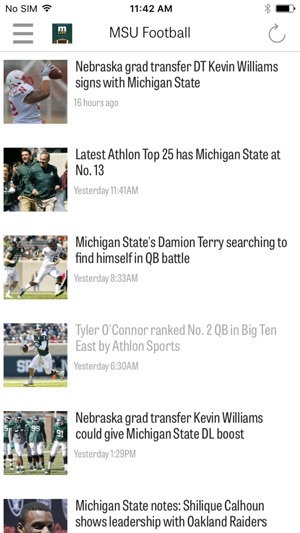 MLive.com: Michigan State Spartans Football News app gives Spartans fans exclusive access to the latest news, videos and photo slideshows from MLive.com. Read exclusive articles about the Spartans and other rival teams, catch live Twitter updates from fans and experts, view and submit photos from the game. 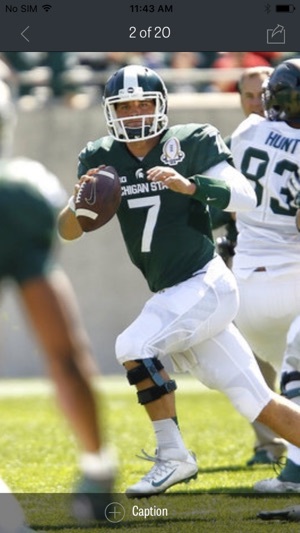 Download the MLive.com: Michigan State Spartans Football News app today! PLEASE NOTE: This App is developed and published by Advance Digital Inc. and MLive.com. The App is not endorsed, licensed or sponsored by Michigan State University or National Collegiate Athletic Association. Bug fixes, performance, and stability improvements. Tip: You can save an article to read later by tapping on the Star icon at the top of the article screen. You can get to your saved articles by going to the Menu, then selecting ‘Saved’. Thank you for your feedback and recommendations, please keep them coming. If you like the app please consider leaving a review. I love the upgrade. Especially how it won't open on my iPad.